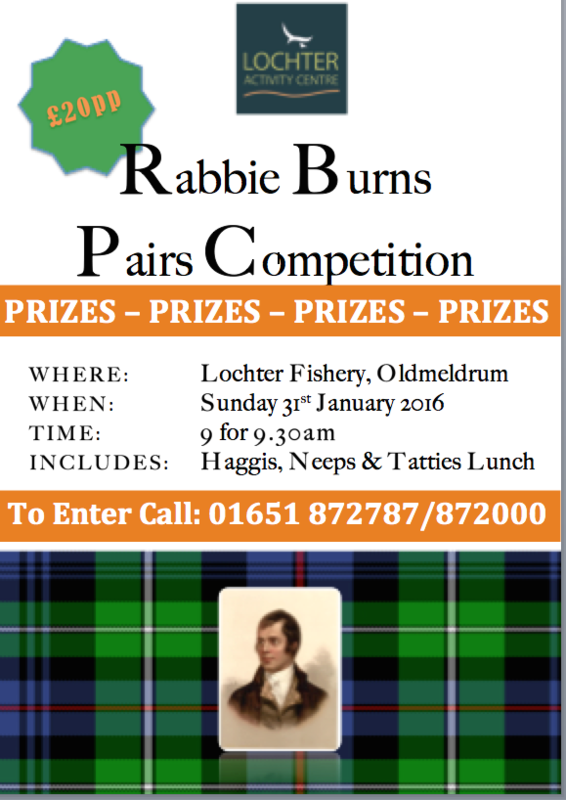 The Rabbie Burns Pairs competition is set for Sunday 31st January at 9 for 9.30 at Lochter Fishery in Oldmeldrum. The ever popular event will feature a traditional lunch of haggis, neeps and tatties with prizes including the water of life as greatly enjoyed by the bard. Talking of water, there has been no shortage of that at the fishery with all the lochs full to over flowing. There has also been a steady stream of anglers, some anxious to escape the excesses of the festive season, others trying out new gear brought by that nice man Santa Claus. Ron Reid out to enjoy the fresh air, had a fine day netting eight good fish using olive and black semtex. Mini cats worked for Ernie Mackay who also scored eight while Graham Pearson used the same flies to and seven. George Cordiner also had seven, mainly on dwial bachs and Bill Gibb, M. Will had six each on buzzers and blobs respectively. With the excessive rain colouring the water up a bit, anglers will have to use flies which are more visible to the fish. The water temperature and general movement is certainly keeping the trout active and looking to feed. Finally, the Lochter team wish all anglers young and not so young a Happy and Healthy New Year with plenty of tight lines. 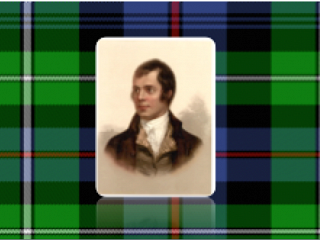 Entries for the Rabbie Burns Pairs can be made at the fishery or by telephone on 01651 872787 or 872000.